Limited release art print by artist Joseph Jurkiewicz. 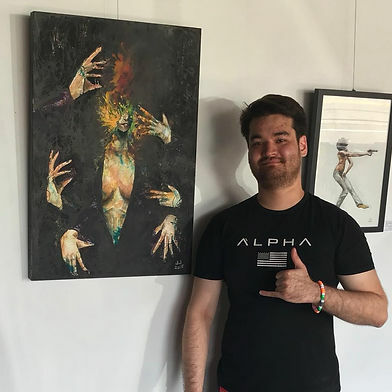 Joseph Jurkiewicz is a figure painter, illustrator and graffiti artist. His work involves complex narratives pulling influences from street art and fashion illustration. His figure paintings explore themes of solemn, anxiety, loneliness, desire, enigmatic exaltation and involving Ludicrous characters. Using no reference's to refer too, Joe's imagery comes straight from the depths of his mind.